Hello All. 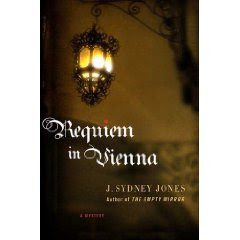 I recently posted a review for Requiem in Vienna by author J. Syndey Jones. You can read my review here. Mr. Jones was nice enough to allow me to interview him. Here is that interview. Enjoy and don't forget to check out these books. You won't be sorry. 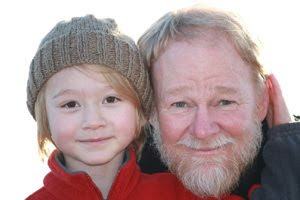 This is a picture of Mr. Jones with his son, Evan. Doesn't he look just like his father? So handsome. I want to thank you for allowing me to interview you. First, can you please tell readers a little bit about yourself? I’ve been writing professionally since just out of college. I started with travel pieces, then went on to nonfiction books and from there moved on to fiction. I write thrillers and historical mysteries and would not give up my job for any other. I’m most happily married and the father of a twenty-nine-year-old daughter and a five-year-old son. My family and I live on the central coast of California. Do you have any type of morning routine? I most definitely have a morning routine, and the first of it revolves around domestic concerns. I’m the morning guy, so I get our son up and fed and off to school. I start work at about nine. Like most writers, I’ve got an office in the home, so it’s a short commute. I concentrate on fiction first in the morning: currently I am at work on book four of the “Viennese Mystery” series. In the afternoon I usually work on other freelance projects that help to keep the paychecks coming in. Tennis, books, music (playing and listening to it), good food, good chats. I read that you lived in Vienna for a while as a student. How important would you say it is for a writer to write about things or places that he/she knows? Ask that of a sci fi writer and they’ll just stare blankly at you. But for me, writing about places I personally know is very important. I’m a history nut; I am also domestic to an extreme. Put those together, and you’ve got place/setting/locale, whatever you want to call it, at the top of my list. In fact, I write a blog about it, Scene of the Crime (http://jsydneyjones.wordpress.com ), where I interview other mystery and thriller writers known for their spirit of place. I went to Vienna initially as a student, but I stayed on after that for almost twenty years. Vienna is like a second home to me. I love the place--I came of age there as a writer and it has become the focus for much of my writing. But again, writing only about those things and place you personally know is not a universal prescription. Others would find such a rule extremely restricting. You know, I was talking with my five-year-old son just last night about presidents, and I realized how much, as a young kid, I was moved by the life of Lincoln. I am sure I could not name one noble thing I have done that would live up to any of his legacies, but in some odd way his journey through life informs my own. Of literary influences there are legions. They began with Salinger, then migrated to Steinbeck, Hemingway, and Fitzgerald--in that order. And then on to the great nineteenth-and twentieth-century British writers: Thomas Hardy, Joseph Conrad, D.H. Lawrence. Le Carre knocked my socks off when I first read him. And the list goes on for more contemporary writers. I love the work of Donna Leon and her Venetian novels. Wonderful domestic background there. Some authors come up with the plot first and then characters or the characters first and then the plot. What type of author would you say you are? Stories do not live without characters. They have to come first. They have to live. They have to surprise, fascinate, irritate, seduce, frighten. 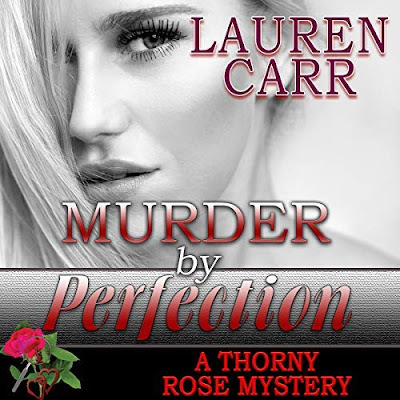 They cannot be mere vehicles for the plot unless you write such blazing fast thrillers that you do not give the reader a chance to breathe let alone consider the plausibility of some character’s motivation. And that is the wonderful thing about writing a series. You’ve got your characters, or many of them, by the first couple of books. You can refine them, deepen them, but they become a basso continuo to your plots. You know them like old friends, and can therefore invest more energy into intriguing plots. Can you share a little bit about both The Empty Mirror and Requiem in Vienna, books in the Viennese mystery series? The Viennese Mystery series is set around the turn of last century. Each book in the series features one of the greats of the time--Vienna was undergoing something of an artistic/cultural/intellectual renaissance in 1900. Along with actual historical figures, I have as my protagonist, Karl Werthen (and his lovely Berthe), who is a lawyer and inquiries agent. He is often helped out--somewhat unwillingly--by another real life character, Hanns Gross, called by many the father of criminology. The Empty Mirror features the controversial painter Gustav Klimt, accused of serial murder. In an effort to prove him guilty, Werthen and Gross uncover some very dangerous secrets upon which some powerful people do not want the light of day directed. Requiem in Vienna features the composer Gustav Mahler, who appears to be the target of an assassin. Attempting to protect his client, Werthen begins to wonder if some madman is intent on killing the great musicians of Vienna. A mixture of historical whodunit and literary thriller, the books also have a healthy dose of history and food lore. How many books will there be in this series? I plan on seventeen, but that is somewhat arbitrary. The series begins in 1898 and would go until Gross’s death during World War I. Unlike many series, mine is not stuck in time. My protagonists age; their lives progress away from the crimes they solve; they have children; they have personal cares, joys, sadnesses. The backstory in these novels amplifies the mystery and vice versa. The Viennese Mystery series is an attempt at transporting readers back to a time that none of us can truly know. I attempt to recreate the sights, smells, sounds, and actual feel of that age, while at the same time presenting an entertaining and page-turning yarn. Please feel free to send me your reader comments. Go to my homepage, http://www.jsydneyjones.com/ for contact information. Thank you again for this interview.